Ever tried a Moonlight Madness event? This series has the same format as the Sydney Summer Series, except that it is held in the winter months after dark. Scheduled on the full month, the Moonlight Madness events see runners grab the old style pencils and cards (no SI stick required) and take to the streets, parks and trails with a headlamp or torch. There are still 30 controls, but they are a little closer together to compensate for the slower running in the dark. Gordon Wilson is course setting on on his home turf at North Ryde. Expect to see a bit of bush track and a loop around the Field of Mars cemetery. Watch our for werewolves! Venue - 7 Pooley St, Ryde. PARKING - Pooley St is a narrow residential street. Please be considerate of residents when parking. Do not block driveways. Nearest overflow parking in Badajoz Rd. Starts from 5:30pm till 7:00pm. Enter on the night. Seniors $10 Juniors $7 Sub Juniors $5. (Plus $3 for non members). Pencils and cards provided. No SI stick required. Don't forget to bring a torch or headlamp (and a wreath of garlic to keep the vampires away)! 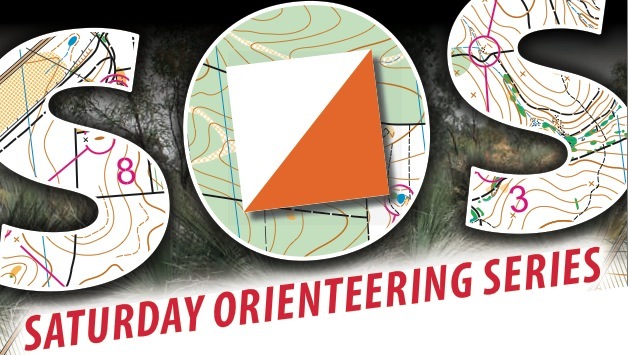 Thanks to Garingal Orienteers for the use of their map for this event.